Dreamclinic’s massage therapists are carefully chosen for their superior massage skill and client focus. Our therapists embody the professionalism and customer satisfaction standards that set Dreamclinic apart. Corrie graduated from Cortiva Institute of Seattle in 2015 and has spent more than 6 months living and traveling in Thailand receiving over 500 hours of training and is certified as an International Thai Massage Instructor. Corrie is skilled at treating structural imbalances and injury treatment work. She uses Thai massage, Myofascial release, Swedish, Deep tissue, Sports massage, Visceral massage, Craniosacral therapy, Acupressure, Cupping, Reflexology, Tok sen and Gua sha. Her work elegantly blends Thai-style stretching with rhythmic movement and graceful fluid touch. Previously spending 2+ years studying Sports medicine, then going on to intern as an Orthopedic surgical assistant, has given Corrie a multidimensional view of the body, in all its complexities, as it moves through its process of healing. She believes that the fantastic benefits of quality therapeutic touch can do amazing things for not only our soft tissue, structure, and central nervous systems; but also for our overall spirit and sense of well being within oneself. Edward graduated from Cortiva Institute of Massage in 2017 and specialized in specific deep tissue work as well as myofascial release and Swedish massage, incorporating stretches and positional release to better alleviating tension and stress through slow and meticulous strokes. Edward believes that with enough effort and time anyone can increase their quality of life and whether that is from a small change in lifestyle or getting a massage to relieve ill sensations he will do whatever is in his power to help you achieve that goal. On Edward’s off day he enjoys reading stimulating literature, going on long walks with his dog or going to the gym to lift weights to better his own quality of living. Biologists say the way to “heal” an ecosystem is to connect it to more of itself. This is a good description of what massage can do. This connection is the gift of receiving a massage. A window of time to connect with yourself, bringing awareness, circulation, and energy to tight and sore muscles and joints that you may not have noticed before. Marjanii is a veteran practitioner who has been in practice for twenty seven years. She is currently Licensed in NY and WA and Nationally Board Certified. After graduating from massage school she opened her own home based private practice and became a faculty member at The Center For Natural Wellness School of Massage Therapy where she was the Assistant Polarity Instructor and taught classes for Red Pines Continuing Education Program. She has been a Level III Reiki Master / Teacher for twenty two years and has training in Shamanic techniques for healing. Marjanii is specialized in various styles of massage including Swedish, trigger point therapy, hydrotherapy, Hawaiian Lomi Limo, Reiki & Polarity Therapy, hot stones, and prenatal massage. She is also passionate about teaching private classes on Reiki, Infant & Newborn Massage, meditation, and easy gentle yoga. Valentina has graduated from Denver Integrative Massage School, where she studied both Western and Thai massage. In her sessions she blends the best of East and West into a unique treatment that supports the client’s health and wellness goals. With a wide variety of tools in her toolbelt – Swedish, deep tissue, Thai, myofascial release, cupping and stretching – she provides sessions that are both therapeutic and deeply nurturing. 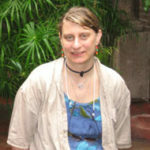 Valentina is also an Ayurvedic practitioner and a yoga teacher, which gives her a unique perspective on an individual as a whole. She’ll be happy to recommend yoga stretches and myofascial release techniques to augment the effects of your session. Wayne graduated from Seattle’s Cortiva Institute for Massage Therapy in 2010 with 1000 hours of training. He has a specialized and passionate focus in Traditional Thai massage, with additional studies in Myofascial Release, and Cupping Therapy. Wayne also instructs beginning and advanced Musculoskeletal Anatomy and Kinesiology courses at the Cortiva Institute as well. A self-proclaimed “anatomy geek”, Wayne enjoys finding new ways to teach fascinating information about the body to both students and clients alike. When he’s not massaging or teaching, he enjoys biking through the city, frequenting the wilderness of the PNW, and drinking a fantastically brewed cup of Yerba Mate. He describes his massage as “compassionately effective and intuitively therapeutic.